Former Rangers, Hibs and Kilmarnock midfielder Dean Shiels has signed a one-year deal at Dunfermline. 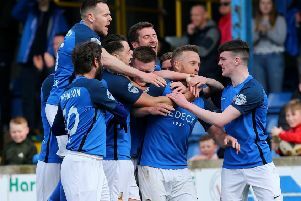 The 32-year-old Northern Ireland international arrives from FC Edmonton, having joined the North American Soccer League outfit in February. Shiels moved to Dundalk last summer at the end of his four-year spell at Ibrox. In 2012 he was a League Cup winner with Kilmarnock and was on the short-list for Scotland’s player of the year. He helped Rangers win three promotions and the Challenge Cup. Dunfermline finished fifth in the Championship last season, four points adrift of the final play-off place.